Well, hello again Spirit of Northwestern! Take a watch as one of the finest bands in the state of Louisiana performs their "A Little Saturday Night Music" halftime show. This band is one of the rare gems in this country that most band fans still don't have on their radar. It is our mission to help bring them and others like them to the forefront of the band world so they too can get the credit they deserve for great performances. 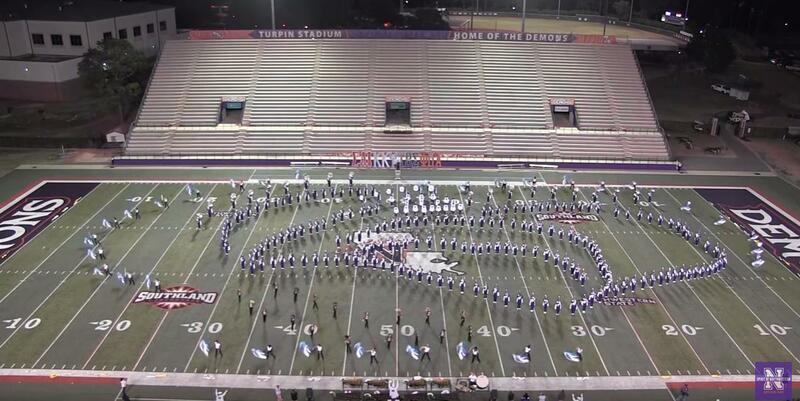 One of the things that we love about Northwestern State University is the love that their school President, James Henderson, shows the band. His support and love for the band is very evident in hsi social media posts and it is great to see that type of support from the top. Share and enjoy the great performance by the Spirit of Northwestern!